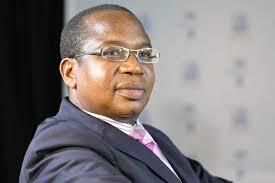 Finance minister Mthuli Ncube has now said there would be no mass layoffs of public sector workers because government has no money to bankroll retrenchment packages. He said government will now consider other ways to pull the economy out of a recession that has rattled investor confidence. Ncube had earlier under his Transitional Stabilisation Programme (TSP) economic blueprint running from October to December 2020 said he was considering layoffs and early retirement packages for staff in the public sector to cut spending. But in a major volte-face, Ncube told a post-budget media briefing on Wednesday that retrenching some of the government workers would be costly. “We are only dealing with fundamentals; retrenchments are costly at this time. “We are trying to balance our budget, and this is why we have said, for now; we can pay bonuses,” Ncube said. Permanent secretary in the ministry George Guvamatanga weighed in saying government needs “a very strong financial base if ever we are to consider that”. “For example, an employee of 20 years earning $1 500 per month at an average service under the Statutory Redundancy Package of two times monthly salary for every year served will need $60 000 as package, $30 000 as one third commutation of the pension and $10 000 for other benefits. “It means finding $100 000 tomorrow for that person. Even if you are to say it should be payable in a normal pay-back period, for any retrenchment to be viable, it should be paid back in two years.